It was unclear Thursday afternoon if anyone was injured in a two-vehicle crash involving a car and a scooter. The crash happened at around 5 p.m. on Talbot Avenue at Grey Street. 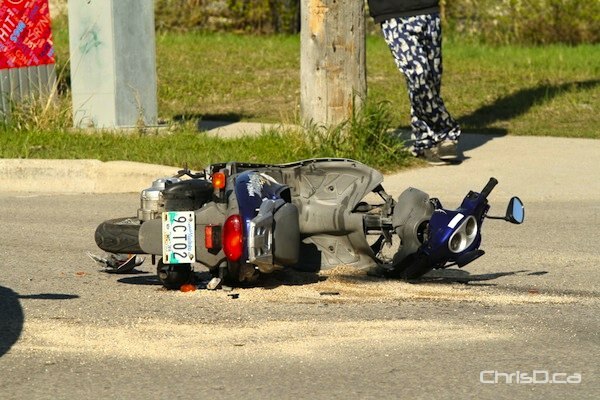 Witnesses said the two-door Acura collided with the blue scooter as it was attempting to turn northbound on Grey Street. The driver of the scooter was reportedly thrown onto the windshield of the car before landing on the ground. A female driving the Acura wasn’t injured, but was visibly upset at the scene of the accident.